Want tosave 1,50 kn on this order and become Loyalty program member? 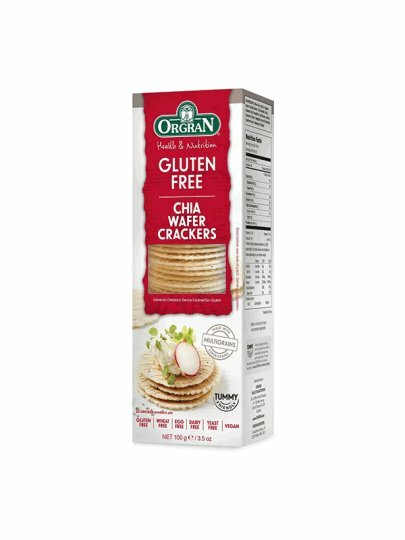 Chewy and lightweight crackers with chia seeds are ideal as a quick snack. With the addition, such as various cheeses, spreads and vegetables, can also serve as crunchy canapés. Rice flour (22%), tapioca starch, corn starch, Chia seeds (2.5%), iodinated salt, emulsifier: sunflower lecithin natural dye, dilution agent xanthan gum.